Karthigai Deepam was celebrated in a grand manner on 01.12.2017. 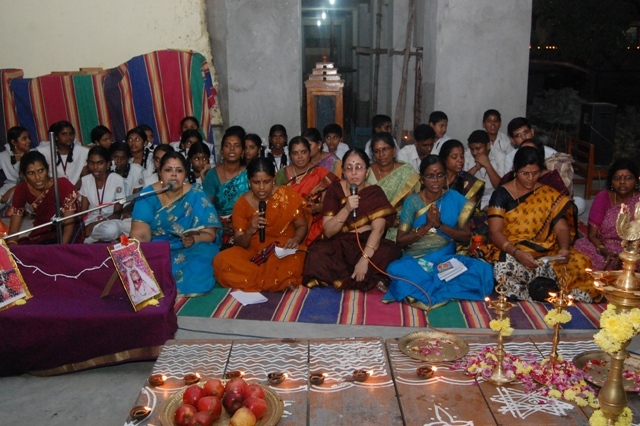 The students and teachers rendered Bhajan, Kandha Sashti Kavasam and Siva puranam. The whole campus was lit with lamps. The significance of the day was rendered by our commerce teacher Smt. R. Malliga. 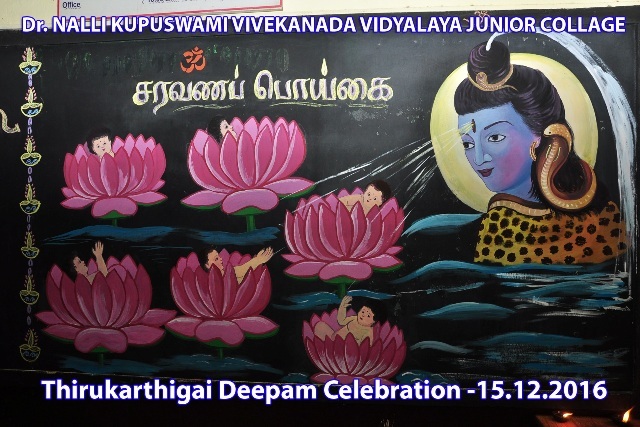 Karthigai Deepam was celebrated on 15.12.2016 in a grand manner. Sri. P. Kesavan, Hon. Addl. Correspondent and Smt. Pushpa Kesavan graced the occasion. Smt. C. Dhanalakshmi gave significance of the day. 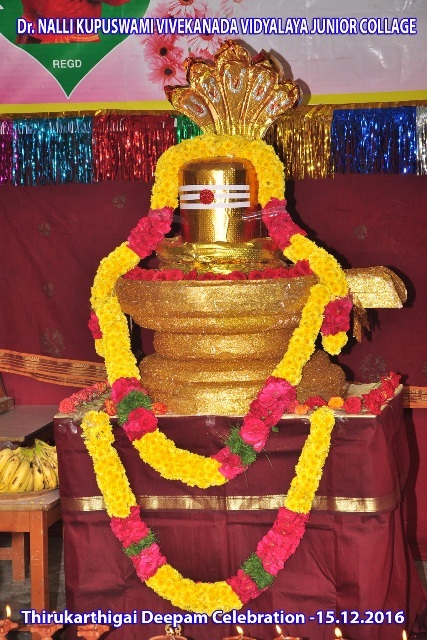 Ponnar Menian in the form of Linga blessed the gathering. 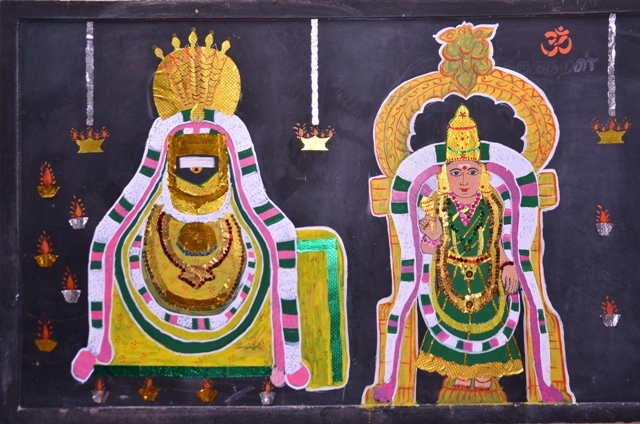 "Saravana Poigai" in the entrance board was attractive. Students rendered Bhajan. 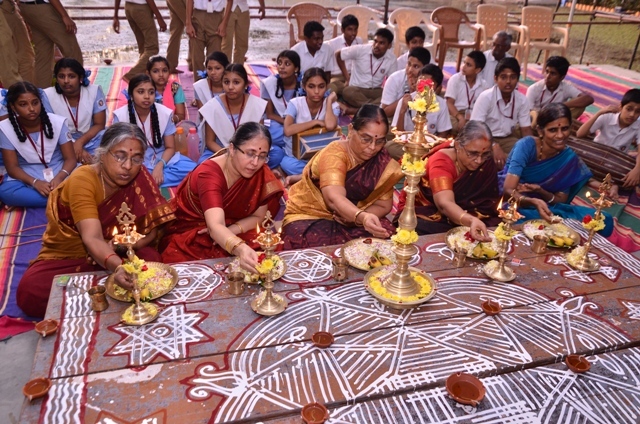 Teachers rendered Siva Puranam. 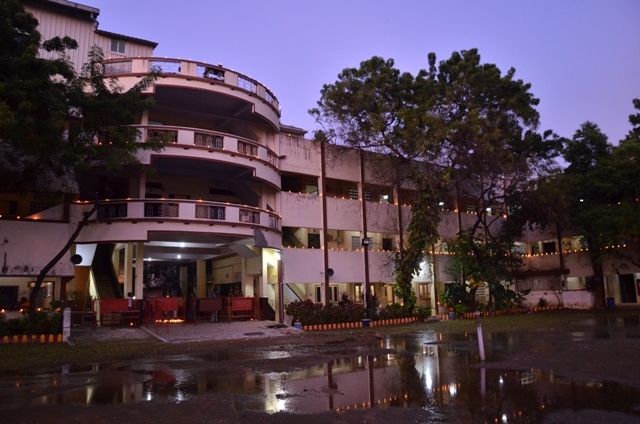 The whole school campus was illuminated with lamps. 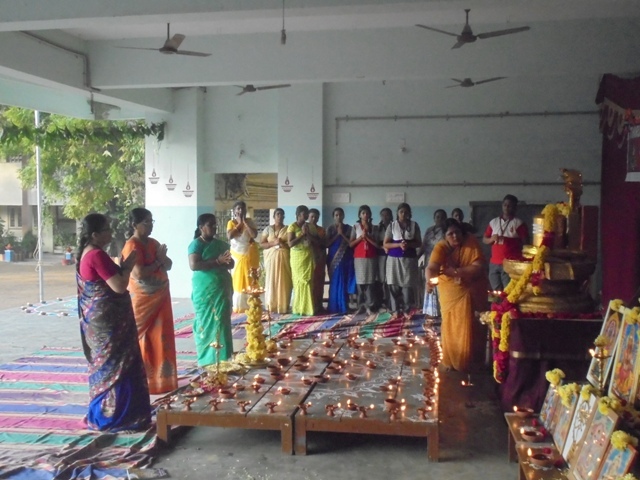 Karthigai Deepam was celebrated on 27.11.2015 in a grand manner. Smt. Chitra Janakiraman and our Education officer Sri. 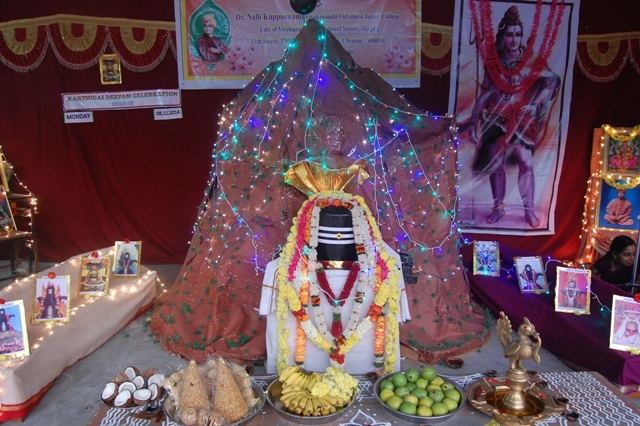 Ponramanji graced the occasion. Smt. 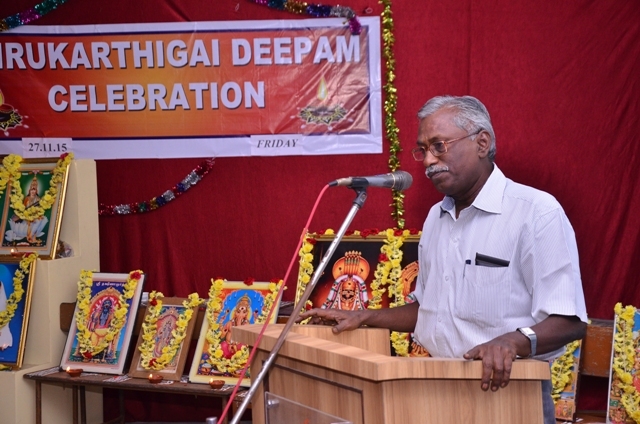 G. Sathya Meenakshi rendered the importance of the day. 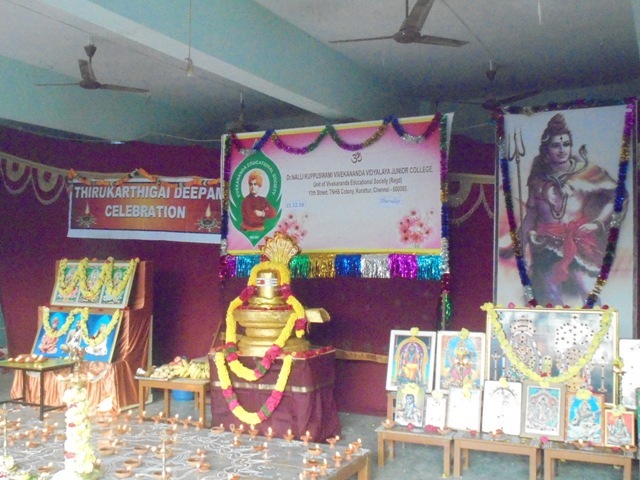 The highlight of the function was the drawings of Thiruvannamalaiyar and Unnamalayar. 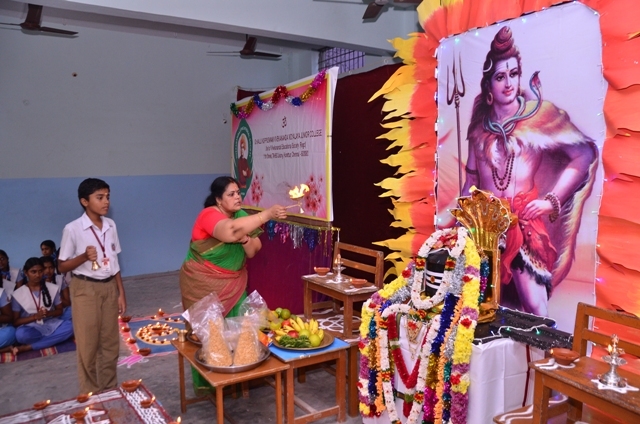 The 10th std students rendered Bhajan and Kanda Shashti Kavasam. Teachers rendered Siva Puranam. 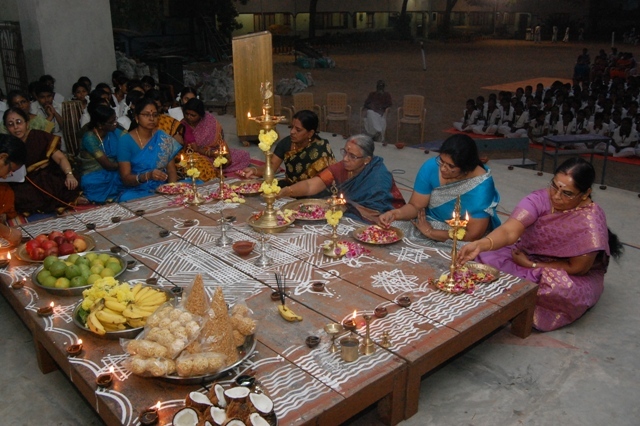 The whole school campus was lighted with lamps. 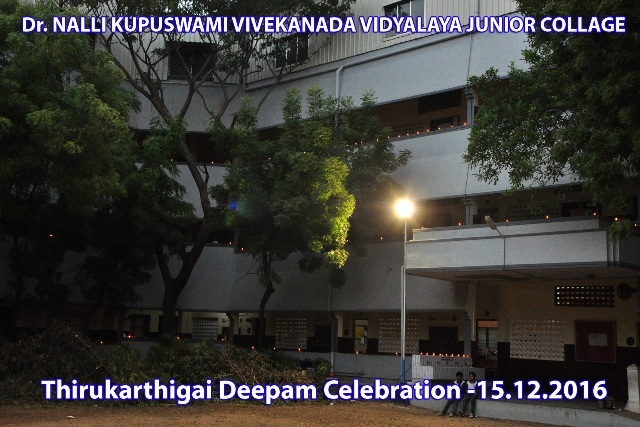 Karthigai Deepam was celebrated on 08.12.2014 (Monday). 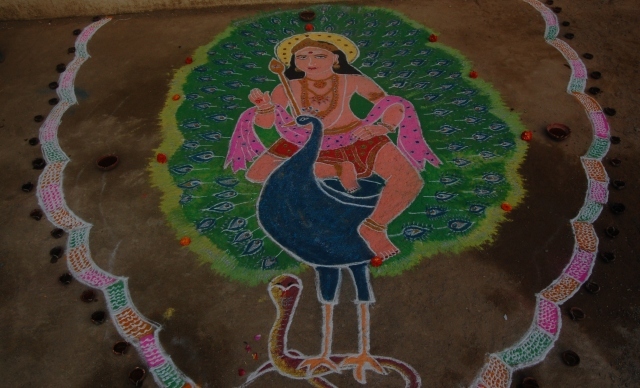 The highlighting feature of the celebration was the depiction of Thiruvannamalai Girivala Padhai and Rangoli depicting Lord Muruga and Arthanareeshwarar. Students rendered Bhajan. The whole campus was lighted with lamps. Kanda Sashti Kavasam and Sivapuranam was also rendered. Smt.Vanaja Narendranath, Additional Correspondent Sri. P. Kesavanji, Smt. Pushpa Kesavan and SMDC member Sri.B.S. Janakiraman and Smt. Chitra Janakiraman graced the function. 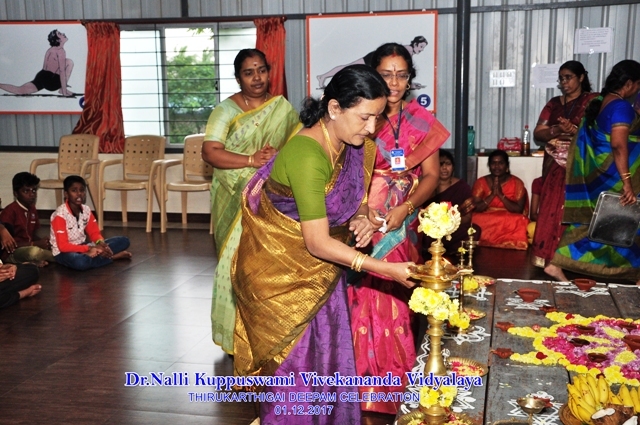 Smt.S.Padmavathy, Tamil teacher gave a speech on the significance of Karthigai deepam.